Despite the best efforts of Sierra Club Florida staff and volunteers the State Lands bill passed both chambers and will be sent to the Governor. This is a disappointing outcome for the volunteers who lobbied their legislators to stop a key provision eliminating the requirement that conservation land management plans be consistent with the purposes for which the lands were acquired. Instead, the bill requires only that the plans be compatible with “conservation, recreation, or both.” Using the broad categories of “conservation” and “recreation” grants DEP significant discretion and may lead to incompatible uses such as grazing, timbering, hunting, and off road vehicle trails. Every Floridian who enjoys our state parks will have to stay vigilant for news of land management plan updates in their area and keep a sharp eye on proposals for inappropriate activities on conservation lands, particularly in our state parks. 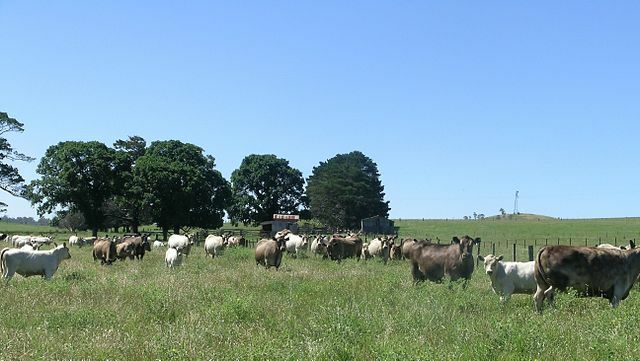 changing the management of land from the current requirement that it be consistent with the purpose for which it was purchased to being compatible with conservation or recreational purposes. Bill could open up state parks to cattle grazing, timbering, hunting or worse. We urgently need you to call your state Senator. A bill is headed to the Senate floor that would remove key environmental protections for Florida State Parks and threaten the use and enjoyment for all Floridians. • Require land management plans to remain consistent with the purposes for which they were acquired. DEP's goal of requiring land management plans to be compatible with conservation or recreation purposes or both potentially opens our parks and other conservation lands to inappropriate uses like hunting, logging, grazing, and off road vehicles. 'Conservation' and 'recreation' are broad categories and the purposes the lands were acquired for may be much narrower. The bill's language grants DEP too much discretion. This is the last real chance to impact this bill. The House and Senate versions are the same and could be sent to the Governor next week. Please call your Senator now, tell them where you live and that you vote. What does fracking in Oklahoma have to do with Florida? At first glance, you wouldn’t see the connection between earthquakes in Oklahoma and Florida’s electric power supply. But the recent decision by state regulators to allow Florida Power and Light (FPL) to take money from ratepayers for a natural gas fracking project in Oklahoma is just one example of the Sunshine State’s profoundly unwise natural gas policies putting profits before people. FPL’s move to frack in Oklahoma couldn’t come at a worse time. Fracking’s rise in Oklahoma has led to 300 times the number of magnitude 3 or greater earthquakes than there have been historically. Property damage from the earthquakes is also on the rise, including a 5.6 magnitude quake that damaged a church, requiring more than $2 million in repairs. Moreover, the quakes threaten catastrophic environmental harm, mainly through the inevitable rupture of the storage and transportation infrastructure for hazardous materials. Cushing, Oklahoma faces a particularly acute threat from earthquakes. Much of this oil hub, with its network of pipes and oil storage tanks, was built in the 1920’s, when the hazards of significant earthquakes were not part of safety designs. Because oil prices are currently low, producers have been storing more and more oil in Cushing—approximately 55 million barrels at last count—and a major earthquake nearby could land Cushing in the disastrous ranks of Aliso Canyon and Deepwater Horizon. The cause of these earthquakes is not in dispute. Even state geologists and the Governor of the traditionally industry friendly state are on the record confirming that the quakes are a result of wastewater injection from drilling and fracking. Source: US Geological Society Research has identified 17 areas in the central and eastern United States with increased rates of induced seismicity. Since 2000, several of these areas have experienced high levels of seismicity, with substantial increases since 2009 that continue today. Because to date Oklahoma has proposed partial mitigation measures including voluntary compliance by industry, Sierra Club filed a suit in federal court to stop frackers from re-injecting their wastewater in Oklahoma. You can read more about the suit here. As even Oklahoma is starting to acknowledge and address fracking’s hazards, it is time for the Scott Administration and the Florida Legislature to do so. It is time to finally rein in natural gas over-reliance by abandoning the dangerous gambit to open Florida to more fracking, and by taking down barriers to clean energy resources like solar, wind, energy efficiency, and storage at record low prices. Thankfully, this year, pro-fracking legislation met strong opposition, backed up by nearly 80 local government bans on fracking. Just yesterday, the Florida Senate rejected a bill that would have stripped the power from these same local governments to regulate fracking and conventional oil and gas drilling. Such pro-fracking policies are particularly unwise when clean energy is so cheap and abundant. We need look no farther than Florida’s municipal utilities for evidence; they are adding solar to the grid at five times the speed of the big investor-owned utilities—FPL, Duke, Gulf, and TECO—because solar is so cheap. In fact, last summer, Orlando procured solar for 7 cents/kWh—less than energy from coal and natural gas power plants (8 cents/kWh), and exerting downward pressure on rates (10 cents/kWh). While there can no longer be any honest dispute about the economic and environmental case for clean energy investments—to be sure, natural gas is far from clean—the costs and risks of using natural gas are only growing. Indeed, less than a year after FPL persuaded state regulators that its Oklahoma project would save Floridians as much as $100 million over 50 years, FPL has revised that down by a half and has given no assurance the project will not end up in the red. Tallahassee has an even worse record of approving massive, multi-billion dollar natural gas power plants and a so-called hedging program, all of which puts the profits of the state’s biggest monopolistic utilities before people. The hedging program alone cost Floridians $6 billion from 2002 up to an including 2015,  while insulating those big utilities from the costs and risks of their bad decisions to double down on natural gas. Think of all the solar, wind, energy efficiency and storage we could have bought for $6 billion! So not only is fracking directly putting lives in danger in Oklahoma and across the Southeast, it’s a terrible deal for Florida ratepayers. Fracking needlessly exposes Floridians to higher priced power while also robbing us of the wide-ranging benefits of clean energy resources. 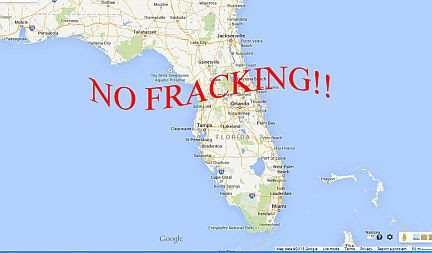 We must not relent in our fight against fracking in Florida! Sierra Club letter of December 12, 2015, available at http://goo.gl/CT8l1j. Last week, we told you the fracking bill SB 318 was voted down in the Senate Appropriations Committee and declared victory. Well,it's never over 'til it's over. An attempt to resurrect the bill this afternoon failed when its sponsor Senator Garrett Richter asked the Committee not to reconsider the bill. "I didn't have the votes despite working all weekend to try to get Sens to flip," a frustrated Senator Richter told a Miami Herald reporter after he pulled the bill. "The opponents 'got what they wanted." Under Senate rules, the bill can't be brought back for consideration this year. NOW IT'S DEAD! It's a tremendous victory for the thousands of concerned Floridians who called their Florida Legislators over the past month asking them to oppose this harmful bill. Pop the cork on a bottle of your favorite beverage, but not yet! Your help is needed TODAY to make a quick call to your Representative contact info here. House Bill 1075, the State Lands Bill, is on the special order calendar for a vote on the House floor TOMORROW, Wednesday, March 2. Ask your Representative to vote no on HB 1075 unless the bill is amended to keep the provision in existing law requiring that state lands be managed for the purposes for which they were acquired. The bill would allow Florida DEP to change the purpose of a state park to include other uses, such as timbering, cattle grazing, hunting, golf courses, and RV Parks.